By Emily Gustaffson-Wright. 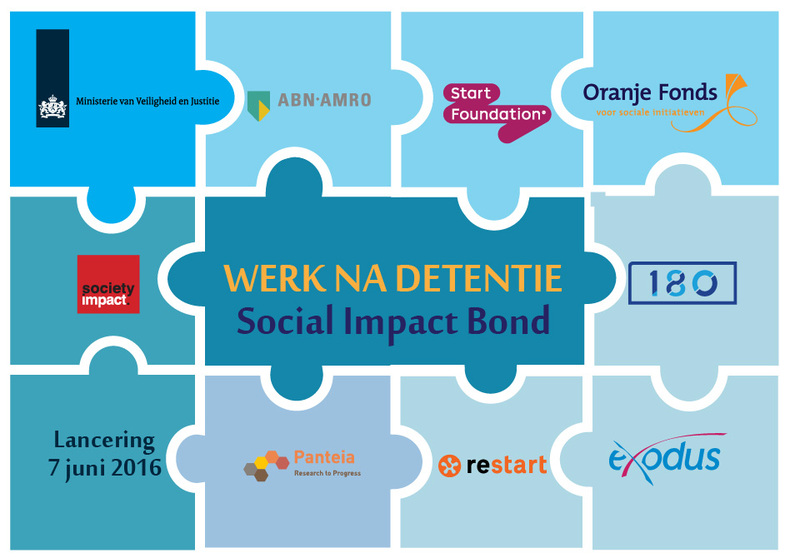 This week the Dutch Ministry of Security and Justice announced that it will pay for the successful achievement of employment and prison recidivism outcomes among short-term adult prisoners as part of the new “Work After Prison” social impact bond (SIB)—the fifth such transaction in the Netherlands and one of about 60 in the world. In a SIB—which is a mix of results-based financing, a public-private partnership, and impact investing—private investors provide upfront capital for preventive social services, and in turn an outcome funder (usually government) pays them back plus a return contingent upon the achievement of agreed-upon outcomes. Where consistent social outcomes achievement poses challenges, this model has considerable potential to create a path forward. What is the social challenge? Each year in the Netherlands, around 40,000 adults are incarcerated and about 30,000 are released. What’s troubling is that the rate of recidivism two years after release from prison is nearly 50 percent. And the costs of successful reintegration and reduced recidivism rates are high and include enormous amounts of social benefits paid out to previously incarcerated individuals. Multi-pronged approaches are often necessary including programs that address housing needs, employment, mental health and substance abuse issues, and debt settlement. Addressing all of these challenges simultaneously is difficult and often the right incentives are not in place for the outcomes of importance to be at the forefront of decision-making. But SIBs may offer a promising way to meet these hurdles. Who are the players in the SIB? In a typical SIB, the players at the table include an outcome funder (government), investors (usually impact investors including foundations), a service provider or providers (usually a non-governmental entity but it can also be public), and the beneficiary population. In addition, there can be external evaluators who assess whether or not the agreed-upon outcome has been achieved; and, in many SIBs, there is also an intermediary party that brings the stakeholders to the table, structures the deal, manage the deal, or conducts performance management for the service provider. The Dutch SIB for prison recidivism has a total of 10 players not including the beneficiary population. Most interestingly, this deal differs from all four previous SIBs in the Netherlands in that the outcome funder, the Ministry of Security and Justice, is at the national level rather than subnational level—the previous outcome funders were all municipal governments. Notably, less than half of the SIBs in the world have a national-level outcome funder. The state-owned Dutch bank ABN Amro, the Start Foundation, and Oranje Fonds are equal investors (and have all invested in previous Dutch SIBs). Three organizations that are part of the Work-Wise Direct Consortium—Exodus Foundation, Restart, and Foundation 180—will provide services to the population in need. Society Impact, an organization supporting social entrepreneurship and innovative financing in the Netherlands, acted as a matchmaker in the transaction by helping to bring all parties to the table. An evaluation arm of the Ministry of Security and Justice and a research entity, Panteia will evaluate whether or not outcomes are achieved. The beneficiary population includes 150 adults who have been in prison between three and 12 months. There is no targeting based on type of crime, age, or gender and consent must be provided by the participant and the municipality. There are two outcome metrics established in this SIB. In a period of two and half years, the outcome funder will repay investors the principal investment of 1.2 million euros plus a maximum return of 10 percent of the investment (but expected return is around 5 percent) contingent upon: 1) a 25 to 30 percent decrease in the social benefits issued to the previously incarcerated participants (which is estimated to require a 882-month increase in labor force participation by the entire group); and 2) a 10 percent reduction in recidivism among the participants. In theory, with all eyes on the target (outcomes), beneficiary populations have a greater chance of success with this results-based financing mechanism compared to traditional input-based financing contracts. The potential for greater collaboration among stakeholders, performance management, and adaptive learning should all bode well for the delivery of the set goals. This could allow for improvements even beyond the targets within the impact bond structure such as improved family life, higher earnings, and increased civic participation. For the Ministry of Security and Justice, the SIB provides an opportunity to shift to private investors the implementation and financial risk of funding social service programs. If outcomes are achieved, then the ministry repays the investors an amount that represents the value they place on outcome achievement, and if outcomes are not achieved, then they do not pay. What’s more, the ministry could benefit from reduced costs as a result of shifting from remedial to preventive services. Additional cost savings, in particular the reduction in social welfare benefits, and other inherent benefits will be accrued to other government entities as well as society as a whole. There can be multiple benefits for services providers. First, the availability of upfront capital allows them to do their job better. Second, the longer-term (multi-year) contract reduces time spent on grant proposals and allows for more steady funding flows. Third, the SIB can provide an opportunity to strengthen the providers’ systems of data collection. Fourth, it allows the service providers to conduct a rigorous evaluation of their program. Further, SIBs can allow for flexibility and learning-by-doing in the delivery of the social services. The three investors in this SIB have an opportunity to earn a financial return of maximum 10 percent if outcomes are successfully achieved. In addition, they benefit from having contributed to the improvement of the lives of the target population and their families. Furthermore, they could generate an impact that goes way beyond the SIB itself. They have the potential to create larger systemic change in the provision of social services by shifting government’s focus away from how services are delivered to which outcomes they want to achieve and by helping to build systems of monitoring and evaluation that allow for systematic assessment of those outcomes. Six years after the implementation of the first SIB for prison recidivism in the United Kingdom, this creative idea has spread to at least 12 other countries with the aim of tackling some of the world’s most intractable social problems. The Netherlands, known globally as a leader on many social and environmental issues, is taking a leading role in the adoption of this mechanism. Moving forward, the rest of the world will be watching to see what lessons can be gleaned from these early experiments as the burden of tough societal issues and potential solutions become increasingly global in nature.